What an adorable gift idea, you funny girl!! I have over 15 great nieces and nephews, these would be such a cute gift idea for them. The adult version sounds intriguing too. I don't think I've ever smell ylang ylang, though I have heard of it. Is it fruity, flowery, woodsy? Essential oils are the best, most effective scents. It's amazing the effect they have on the senses not to mention monsters, lol!! 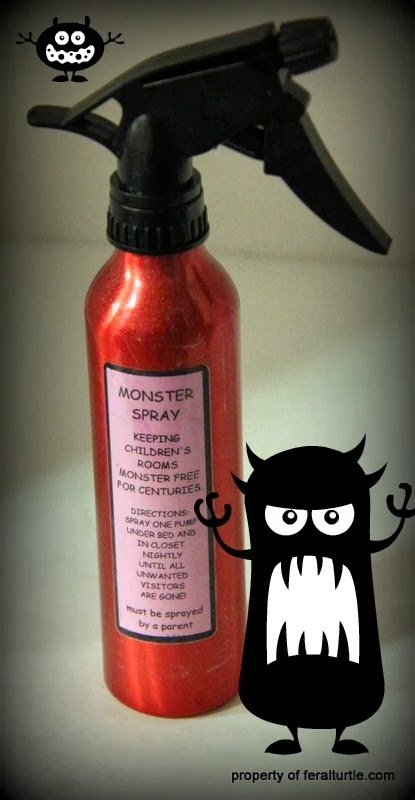 Hehehe I love it, funny none of my kids have been scared of monsters but I cold do with room spray for the teen boys stinky! Oh this is hilarious! And clever! I'm with Andi...I'm going with the vodka version!